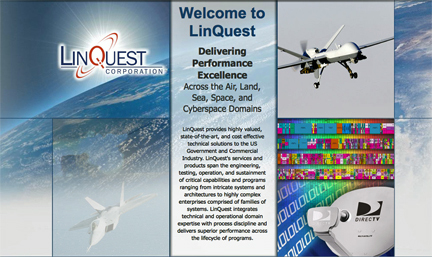 Satellite Ops Support @ Kirtland AFB Now Contracted By LinQuest Corp.
[SatNews] LinQuest Corp., Los Angeles, California, has been awarded a $7,884,935 cost-plus-fixed-fee contract for satellite operations support services. The contractor will provide continued uninterrupted support to five on-orbit satellite missions; and support for six satellite programs in various stages of pre-launch design and readiness. They will also provide operations expertise for upgrades and modifications to the Multi-Mission Satellite Operations Center ground system including operations and acceptance testing and mission automation efforts in support of the Air Force Space Command Enterprise Ground Initiative. Work will be performed at Kirtland Air Force Base, New Mexico, and is expected to be complete by January 31, 2016. This award is the result of a sole-source acquisition. Fiscal 2015 research and development and operations and management funds in the amount of $3,067,000 are being obligated at the time of award. The Advanced Systems and Development Directorate, Los Angeles Air Force Base, California is the contracting activity.